This "Love and Cupcakes" wall decal will look great in any kitchen! 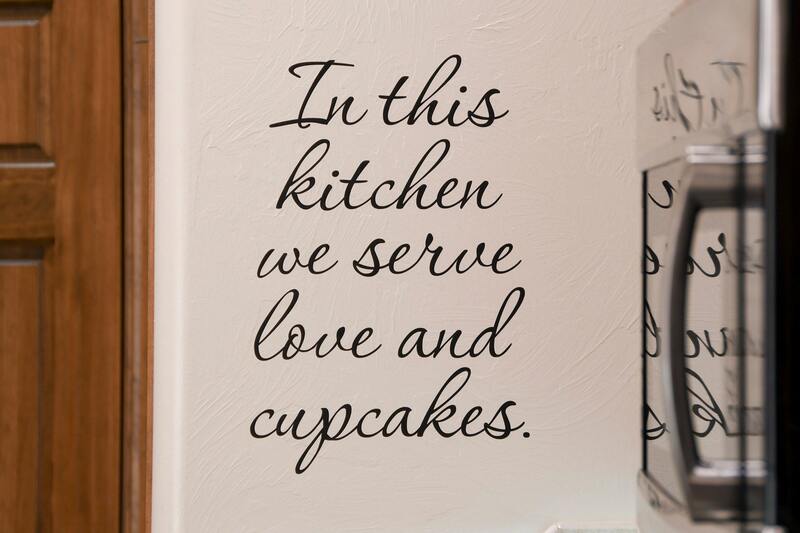 Our awesome wall decals give the illusion of a painted graphic when applied to your wall. Thank you so much! "The Best of Times..." looks great on the wall above the pictures of my children. I'll definitely be back for more decals.